Much of the rare succulent flora of the Eastern Little Karoo has been lost due to the devastating effects of ostrich farming. The 4 800 hectare farm, Groenefontein, harbours one of the last intact remnants of this unique and diverse vegetation. Thanks to the late Mr Leslie Hill, a generous succulent enthusiast who donated the funds, the WWFSA (World Wide Fund For Nature South Africa) purchased Groenefontein in 1999. The property is now managed as part of the Gamkaberg Conservation Area, by Cape Nature Conservation. Groenefontein has much to offer the nature lover as there is an abundance of interesting fauna and flora - including a short succulent trail (see details below). Many recreational options exist, such as camping at the rustic Batis Camp, hiking, mountain biking, horse riding or simply absorbing the peace and quiet. Please note: Due to the increase in illegal succulent plant trade, the succulent trail is only accessible with a guide, who will share expert knowledge on the veld with you. Prior booking necessary. The traditional names of most of these succulents are in Afrikaans. To enlighten you on the very descriptive (and often humourous) nature of each name, a direct translation has been provided. 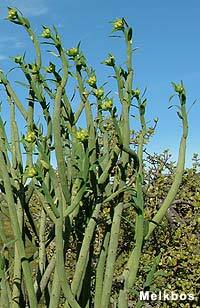 Indigenous people insulted each other by referring to this plant as the other persons daily food. During drought, baboons dig up the roots of this plant for food. The leaves have a salty flavour. The presence of Augea also indicates a previous disturbance to natural veld, eg. over grazing. The largest of all Glottiphyllum, this species is a Little Karoo endemic. It is found among quartzitic sandstone gravels. This bush is browsed by herbivores. These are confined to areas with light coloured quartzitic gravels. It was one of Leslie Hill's favourite plants. The fleshy leaves have beautiful markings and this plant often grows in amongst other bushes. An edible plant which was traditionally used to induce the fermentation of homebrewed beer! Zygophyllum refers to the leaf structure consisting of two leaves which appear to be fused together at the base. The bush supposedly smells of dog wee! Pollinated by moths, the scented flowers open at night. 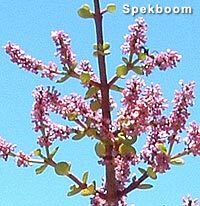 This plant represents the characteristic stone-like plants of the Little Karoo. The bark has a waxy texture and is flammable. The stems were used traditionally as candles. This plant is not browsed by herbivores, hence the name "Poor man's bush". By creating shade as well as the prevention of trampling and browsing it acts as a 'nurse' plant to many dwarf succulents. 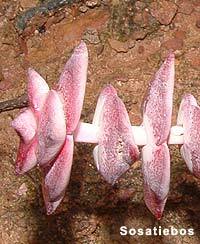 The calyx of the flower does not fall off when the flower dries out. Rather, it remains loosely attached to the flower stem where it moves up and down in the wind. This is believed to be the plants defence mechanism against caterpillars which might come and feed on the edible leaves. It is thought that these moving objects resemble ants and therefore the caterpillars, which are eaten by ants, leave the tasty leaves alone. Is it a plant? The leaves are covered in fine hairs and are eaten by herbivores. The tasty leaves and pods are eaten by browsers. After the rain, the yellow flowers are conspicuous in the veld. The leaf arrangement of certain plants in this family resemble bits of food on a skewer, like a kebab (or sosatie). The leaves of this plant were strung decoratively by the Khoi San during rituals. Although slightly acidic, the fleshy leaves can be eaten raw when hungry or thirsty. The plant is believed to promote lactation in breastfeeding mothers. Also valued as stock feed. The name refers to the big underground stem which is edible and was an important part of the San diet. When flowering, these small, beautiful plants are a treat to behold in this harsh environment. 20. Melkbos (Milk bush) - Euphorbia sp. The milky latex, found in the stem, is known to be poisonous and to cause blindness in humans. Indigenous herbivores browse lightly on this plant as a natural control against parasites. Mountains in the Barberton area of South Africa's Mpumalanga province have yielded minute fossils, dated to about 3 300 million years ago, that are thought to be among the first signs of life on Earth.